We seek your assistance to make this Friday’s ride the best one yet! 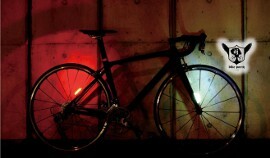 Lights – Your bikes need lights and taillights more than ever! 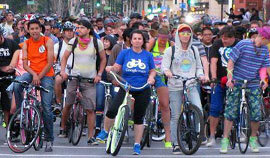 If you are a bike store, from Highland to Walts to Sports Basement… let us know what discounts you may have available for SJ Bike Party attendees. We’ll post here. Cameras – Bring your cameras. Follow whatever instructions are given at Hellyer Velodrome regarding flash. 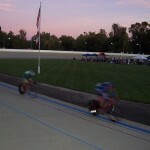 Still pics and video during the ride and regroup is great if you can do it safely. Signs – We need construction signs and barricades to help with key turns! We’ll affix our SJBP signs to these! If you have any (or can ask a coworker or friend) please email sjbp.prerides@nullgmail.com as soon as possible. If you can help distribute these Thursday evening/Friday even better! Music – Trailers, rear racks or handlebars are all good! We need many more! If you have built a setup, share your secrets. Lightweight music setups for 20-30 riders to hear are most welcome. You don’t have to have a 200-300W trailer system! Remember: Please turn down the music in residential areas and crank UP in remote areas.